A swimming pool is one of the most luxurious backyard amenity. It is a strong aesthetic element which requires proper designing and landscaping. Here are the top pool design ideas, swimming pool ideas, pool landscaping ideas, and pool location ideas that will help you in the design of a magnificently durable pool. 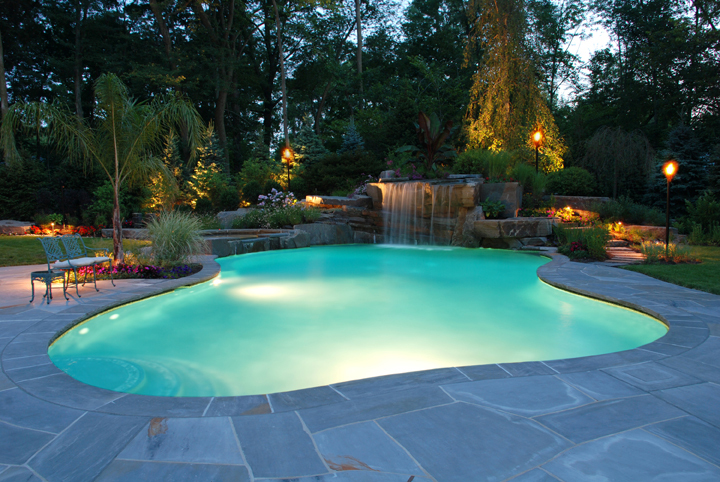 The landscape of your backyard provides a perfect setting for your pool. This is why it is important to use a landscape architect who understands the big picture of circulation and site function so that the pool is located appropriately. It is therefore vital to put into consideration the landscape of your backyard as the frame and foundation for your new pool. Being one of the largest amenity of your backyard, a swimming pool requires proper strategic planning in determining where to precisely locate it. Your backyard should be able to accommodate a deck, adjoining patios and the surrounding landscaping. In summary, the backyard should be able to accommodate a children’s play area, a kitchen area,the pool deck, a grassy lawn and a planting zone which can be occupied by trees. 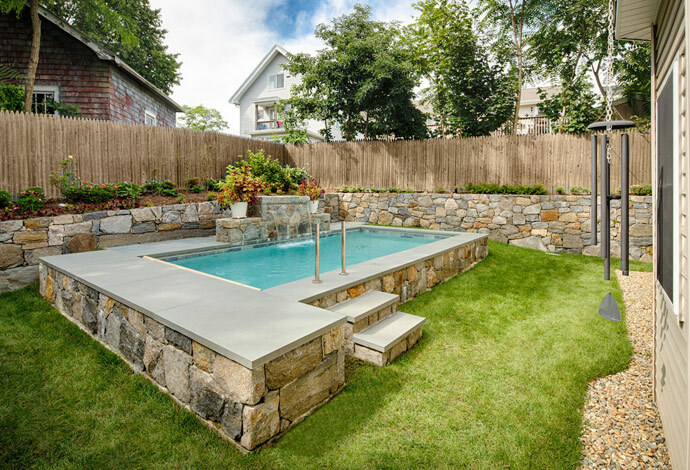 Before deciding where the pool should be located it is also important to consider other limitations to pool location such as drainage, sloping and zoning regulations. 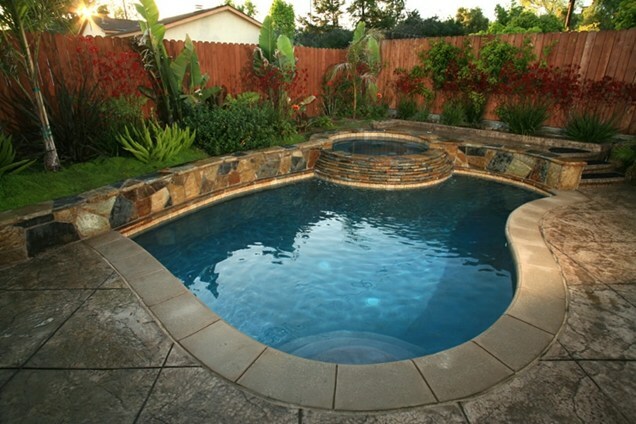 The materials selected for your swimming pool should be durable, safe to use, comfortable and appealing in appearance. Materials for the the coping, pool deck, the interior and the waterline need to be carefully chosen. It is important to put into consideration that the materials used will be in direct contact salty, chlorinated and possibly acidic water. Additionally, they will be in contact with swimming suits and bare feet. Apart from the durability, safety and comfort-ability of materials, it is also important to consider climate. 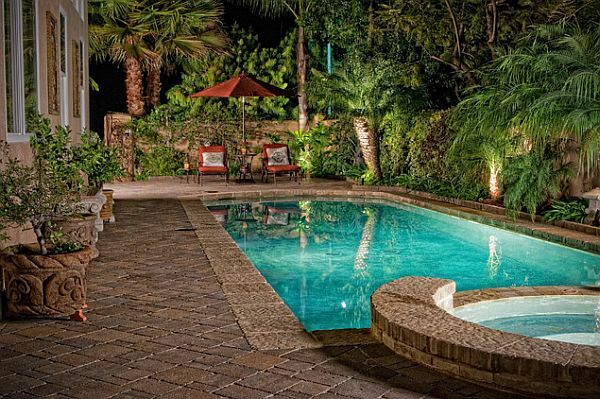 Popular pool deck materials to consider include pavers, stone, brick, tiles, concrete and wood. On the other hand, the most popular coping materials are brick and cast concrete. The size of your swimming pool is ultimately influenced by the amount of space in your backyard, the cash you intent to spend for your construction and the function you intent to use the pool for. If you intent to use your pool for exercising, it is advisable to consider installing a long and straight pool suitable for swimming laps. If you have children and you want to play pool games then a recreational pool is ideal for you because it is shallow and it allows you the most freedom in shape and size. 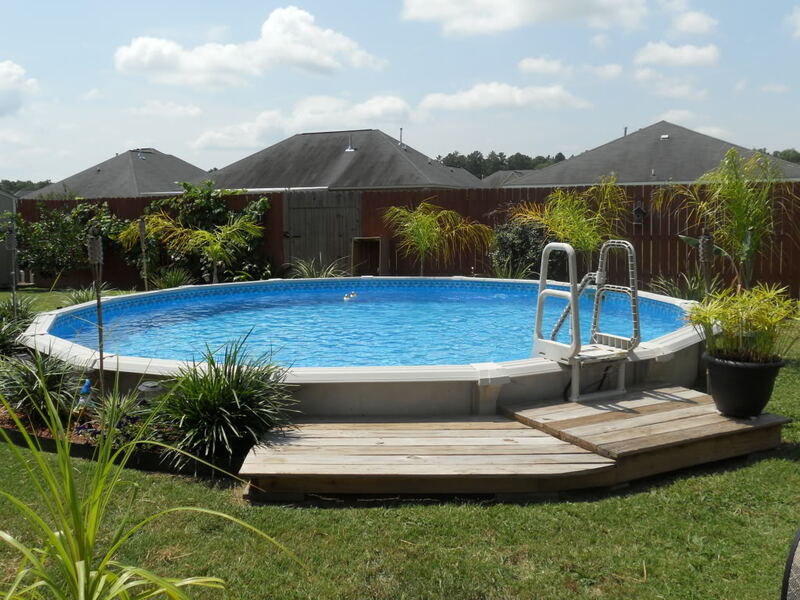 Because pools are expensive to construct, it is wise to slot a lot of time to their design. This is because you will build it once and therefore the choices of your location, materials and detailing should be of high quality to prevent unnecessary expenditures on repairs.